How do I know I have hearing loss? What is the difference between an audiologist and a hearing instrument specialist (HIS)? Audiologists are healthcare professionals who evaluate, diagnose and treat hearing loss and other auditory conditions like tinnitus and balance disorders. Audiologists also provide valuable insight and products to help you prevent hearing loss, like protective custom earplugs. Audiologists are trained to work with all ages, from newborns to the elderly, however some do specialize in certain age groups or conditions. An audiologist holds an advanced degree in audiology. Currently, Audiologists are required to obtain a doctoral degree and must be licensed by the state in which they practice. Additionally, audiologists must be licensed in the state they practice and are regulated by the Division of Consumer Affairs. In addition to their education and state licensure, an audiologist may be awarded the Certificate of Clinical Competence in Audiology by the American Speech-Language-Hearing Association (ASHA), otherwise known as the CCC-A. With additional training and expertise, the audiologist may receive the Honor of Fellow, which is awarded by the American Academy of Audiology (AAA). Hearing loss can be due to several factors such as the aging process, exposure to loud noise, medications, infections, head or ear trauma, congenital (birth) or genetic factors, diseases, as well as a number of other causes. 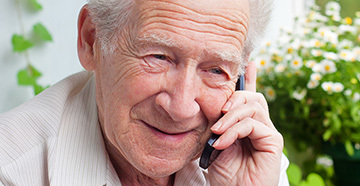 It is estimated that nearly 20 percent of adults in the United States (48 million) report some degree of hearing loss. Hearing loss often occurs gradually throughout a lifetime. If you exhibit symptoms of hearing loss, you should see an audiologist to have a formal hearing evaluation. This hearing test, or audiologic evaluation, is diagnostic and allows the audiologist to determine the type and degree of your hearing loss. There will also be a hearing test that evaluates your sensitivity, acuity and accuracy to speech understanding. Your audiologist may also test for speech understanding at different volume levels and conditions – like noise – to help the professional recommend the best hearing aids for your particular needs. The hearing evaluation will also include a thorough case history and a visual inspection of the ear canal and eardrum. Additional tests of middle ear function may also be performed depending on your symptoms. The results of the evaluation can be useful to a physician, if the audiologist believes your hearing loss may benefit from medical intervention. Results of the hearing evaluation are plotted on a graph called an audiogram. The audiogram provides a visual view of your hearing test results across various pitches or frequencies, especially the ones necessary for understanding speech. The audiogram and results from your speech understanding tests are used to create a prescription by which hearing aids are programmed, if necessary. Sensorineural hearing loss: When the problem is in the inner ear or a problem with the auditory nerve, a sensorineural hearing loss is the result. This commonly occurs from damage to the small hair cells, or nerve fibers, in the auditory system. Sensorineural hearing loss is the most common type of hearing loss in adults and accounts for more than 90 percent of hearing loss in all hearing aid wearers. The most common causes of this hearing loss are age-related changes and noise exposure. Loss may also result from disturbance of inner ear circulation, increased inner ear fluid pressure or from disturbances of nerve transmission. There are many excellent options for the patient with sensorineural hearing loss. Conductive hearing loss: When there is a problem in the external or middle ear, a conductive hearing loss occurs. Conductive hearing loss develops when sound is not conducted efficiently through the ear canal, eardrum or tiny bones of the middle ear, resulting in a reduction of the loudness of sound that is heard. Conductive losses may result from earwax blocking the ear canal, fluid in the middle ear, middle ear infection, obstruction of the ear canal, perforation (hole) in the eardrum membrane or disease of any of the three middle ear bones. Individuals with conductive hearing loss can benefit from hearing aids, medical implants, medication or surgical options. Mixed hearing loss: When there are problems in the middle and inner ear, a mixed hearing impairment is the result. Because mixed hearing loss involves both sensorineural and conductive hearing loss, treatment options from hearing aids to surgery depends on the nature of the impairment and the symptoms experienced. A pediatric audiologist is trained to test children of all ages. Any symptom of hearing loss in children should be addressed promptly so that speech, language and academic development are not delayed or negatively impacted. There are many types of hearing aids today and the style or device depends on your lifestyle, budget and hearing loss needs. There are in-the-ear styles as well as behind-the-ear styles. In addition to selecting the right style of device, it’s also important to consider what features would be most beneficial to you. From directional microphones to waterproof options, there are numerous varieties to meet everyone’s personal needs. Today’s hearing aids are even equipped with Bluetooth connectivity to work with wireless technology like a cell phone or television. People with all types and degrees of hearing loss can benefit from an assistive listening device (ALD). Since the microphone of a typical hearing aid is worn on or behind your ear, its ability to enhance the talker-to-background-noise ratio can be limited. However, ALDs are designed to increase the loudness of a desired sound, such as a radio, television or a public speaker, without increasing the background noise. This is because the microphone of the assistive listening device is placed close to the talker or device being used, while the microphone of the hearing aid is always close to the listener. ALDs include alarm clocks, TV listening systems, telephone amplifying devices and auditorium-type assistive listening systems. 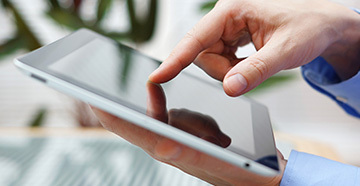 Many newer devices are small, wireless and compatible with a person’s digital hearing aids. Alarms and other home ALDs may be small devices that are placed discreetly on tables, next to the TV or on the wall. Tinnitus is a common disorder affecting over 50 million people in the United States. It is often referred to as "ringing in the ears," although some people hear hissing, roaring, whistling, buzzing or clicking. Tinnitus is not actually a disease, but a symptom of another underlying condition of the ear, auditory nerve or other influencing factor. Tinnitus can be intermittent or constant, with single or multiple tones. The perceived volume can range from very soft to extremely loud and may be recurrent or constant. There are a number of different hearing healthcare professionals available, but each has different education and training requirements. An audiologist and a hearing instrument specialist (HIS) are two of the most common professionals when seeking treatment for hearing loss. To better understand which professional is best for you, it’s important to distinguish the differences between the two. Audiologist: An audiologist is trained to diagnose, treat and monitor disorders of the hearing and balance system. They are trained in anatomy and physiology, amplification devices, cochlear implants, electrophysiology, acoustics, psychophysics and auditory rehabilitation. Doctors of Audiology complete, at a minimum, an undergraduate and doctoral level degree in audiology, as well as a supervised externship prior to state licensure and national certification. This usually requires eight years of post-secondary education (four years of college and four years of graduate school). The graduate school years focus on the medical, diagnostic and rehabilitative aspects of hearing loss, hearing aids and the vestibular system. Upon completion of training, audiologists must also pass a national standardized examination in order to be eligible for state licensure. Continuing education requirements must be met in order for an audiologist to maintain state licensure. For individuals with hearing loss, auditory issues or balance problems, an audiologist is the most qualified professional to assist with diagnosis and treatment. Hearing instrument specialist (HIS): A hearing instrument specialist is licensed to perform audiometric testing to sell and fit hearing aids. In order to obtain a license, a HIS generally has to take a certification program in hearing aids, complete in-the-field training hours and pass an exam. 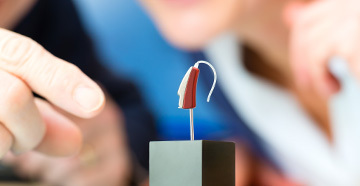 Hearing instrument specialists are able to fit and repair hearing aids, however, they cannot diagnose a hearing loss. Make informed decisions on the purchase of your next hearing device.